Some of President Donald Trump’s top national security advisers have discussed whether the military could be used to build tent city detention camps for migrants, NBC News is reporting. The network news, attributing its information to three unnamed officials, said the discussion took place at the White House Tuesday night. The discussion also dealt with whether the military could actually be used to run the camps once the migrants are housed there. But the NBC News sources say that was unlikely since the law prohibits the military from interacting with migrants. 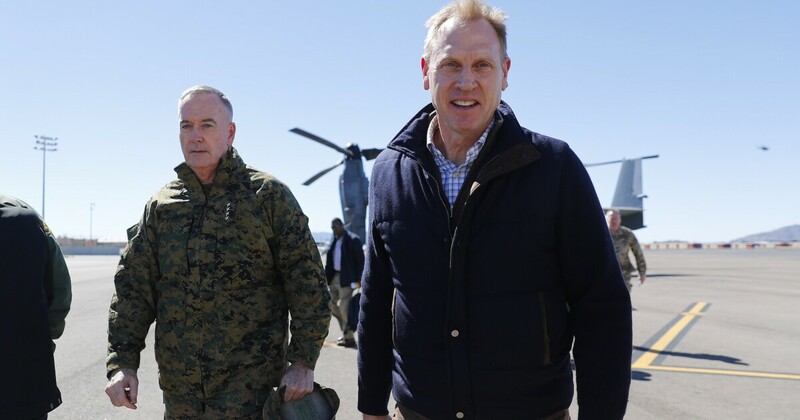 Acting Defense Secretary Patrick Shanahan, who attended the meeting, was open to sending more troops to the border provided their duties were within the law, the officials told NBC News. Right now, troops are currently at the southern border and are mainly used for reinforcing fencing with barbed wire, according to the network news. During the meeting, other potential new projects were discussed, including assessing land for construction of new tent cities in El Paso and Donna, Texas. The military would also be used for assessments before the construction of a processing center in El Paso. Meanwhile, a border patrol official told NBC News that the military allows for faster construction than private contractors, who can slow down the process. “The importance of (the Department of Defense) is that they are able to mobilize quickly because we face an immediate crisis now,” said the border patrol official.